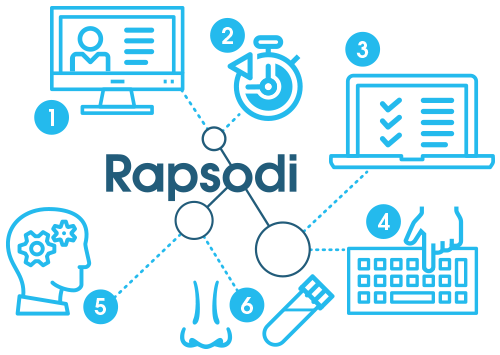 Rapsodi is a pioneering study which uses the internet to find new ways of diagnosing Parkinson's earlier to develop life changing treatments. Research has shown us that we may be able to intervene many years before people develop Parkinson's to stop it in its tracks. The GBA gene, which is carried by people with Gaucher disease, has been providing some unique insights into why people might develop Parkinson's disease. Learn more about the link between Gaucher, GBA and Parkinson's. If you have or are related to someone diagnosed with Gaucher disease or Parkinson's disease we'd like to hear from you. Thank you for taking part, every bit of information gets us closer to understanding how to prevent Parkinson's developing and progressing.